WASHINGTON (AP) — Seeking better-skilled workers, Cedar Electronics decided last year to return some of its manufacturing to the United States from the Philippines, only to run smack into a worsening U.S.-China trade war. Cedar makes radar and laser detection systems. When it shifted the assembly of those machines to Westchester, Ohio, it provided jobs for 30 people. 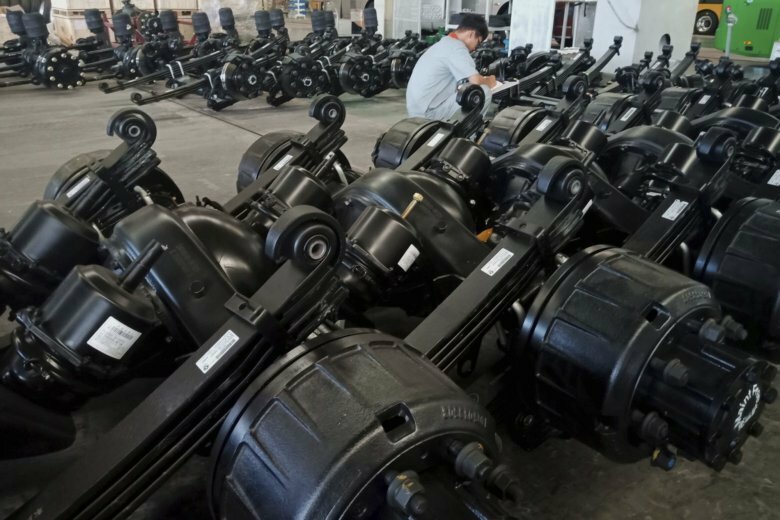 Yet with President Donald Trump escalating his tariffs on Chinese imports, Cedar must now pay hefty taxes on critical imported parts — tariffs it didn’t have to pay when that manufacturing was done overseas. What’s more, Trump has warned that if China retaliates with its own tariffs, he’s prepared to tax an additional $267 billion in Chinese imports. At that point, the Trump administration will have raised tariffs on virtually every good China sells the United States. If tariffs on the additional $267 billion of Chinese imports are put in place, the total hit from the administration’s trade fight with Beijing could slow U.S. economic growth by a third, to roughly 2 percent, in 2019, Daco estimates. “This is the point where we move from very small effects to something that’s more notable,” said Lewis Alexander, an economist at Nomura Securities. Now, it’s taking a step back. “We don’t have experience with this kind of policy change,” Alexander said. China’s economy will likely also absorb a hit from the White House’s latest move. Louis Kuijs, an economist also at Oxford Economics, forecasts that all the tariffs now imposed will reduce its growth in 2019 by 0.4 percentage point. The chief executive of the Macy’s store chain, Jeff Gennette, said he expects more tariffs will be imposed and to begin hurting department stores and other clothing retailers. But he says it’s too early to determine how exactly the tariffs will affect consumers. “Every decision that they’ve made historically to source the components for cars, now they have to re-look at it,” Closs said of the industry. Sean O’Scannlain, the chief executive of Fortune Fish & Gourmet in Chicago, said he recently had seven workers package an order for 36,000 pounds of individually wrapped Chinese tilapia for a meal delivery company. O’Scannlain said his profits are too narrow for him to absorb the cost of higher tariffs, and he will have to pass the higher costs on to his restaurant and retail customers. Sherill Mosee, founder of MinkeeBlue, which makes travel and work bags made in China, says she might have to close her company by next spring if she doesn’t find a new manufacturing partner for her handbags, which are now made in China. Her products for the holiday season have already been made. “Global companies — the channel spreading the most advanced technological and organizational innovations through the global economy — are looking elsewhere for their long-term growth,” Adams said. AP Business Writers Anne D’Innocenzio in New York and Tom Krisher in Detroit contributed to this report.